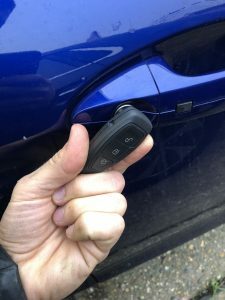 If you own a Ford Fiesta that has a proximity smart key you most probably love your key and think it’s the best thing since sliced bread. 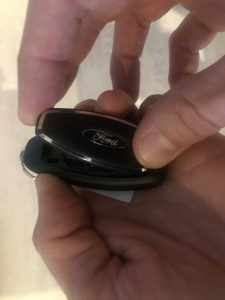 The Ford proximity key makes things super easy, pull the door handle, open the car, push a button and off you go….all without even having to touch a key. However, what happens when things don’t quite work as expected? 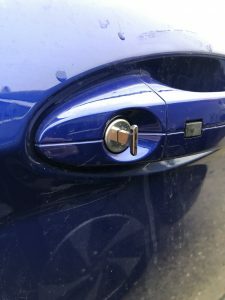 You pull the door handle and the car does not respond and stays locked. 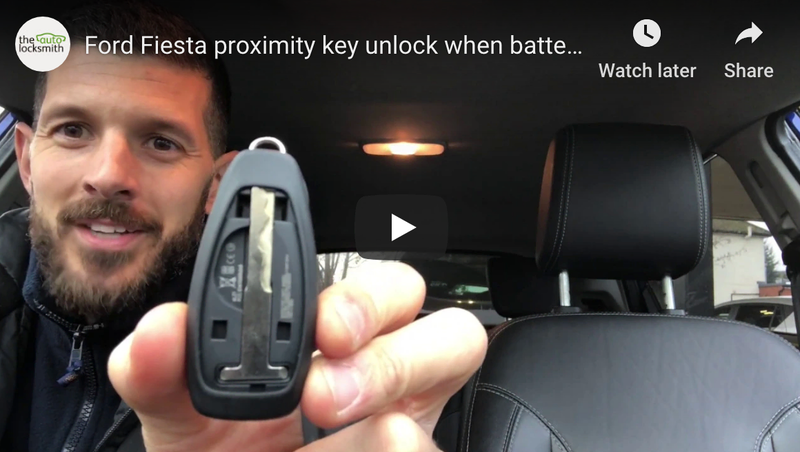 You make a huge effort to dig deep into your pocket, pull out the proximity key and press the unlock button…..that should fix it. Oh, still not working!? The car battery is flat (someone left the interior lights on, tut tut). 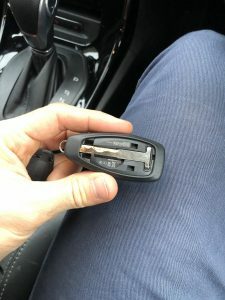 If the car battery dies the unit that picks up the key signal won’t work and the car will not respond to the key, no matter how hard you press that button. So stop pressing the button so hard as you will most likely damage the casing, but that’s a story for another article. The battery in the proximity key is dead. You will have most likely seen a message flashing up on the dashboard warning the battery in the key is low. If you seen this message DO NOT IGNORE IT, replace the battery as soon as possible. 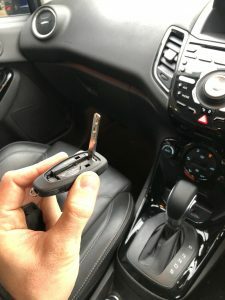 Your super cool Ford Fiesta proximity key is broken. Remember that time you threw it out the window to your other half and it bounced off the window ledge onto the car and then hit the floor? Well they certainly don’t bounce too well so it could well have damaged the electronic PCB inside the key. 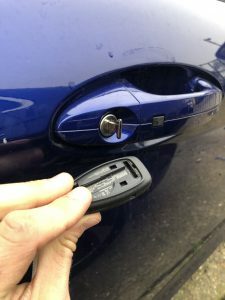 If you find your Ford Fiesta smart key is not unlocking the car there is a very simple way to gain access and resolve the problem. I hope you found this article helpful, if you have any questions leave a comment in the box below. You are wonderful ! Got into my car, now off to buy a battery charger. Hey Moira, you are very welcome, glad the article helped.